Super Heroes have always been a part of our daily lives. From young kids to adventurous adult men and woman all admire the strength and power of the superheroes. Spiderman, Superman, Hulk, Captain America and many more are the companions of all ages. The list is long enough to fascinate the superhero freaks. 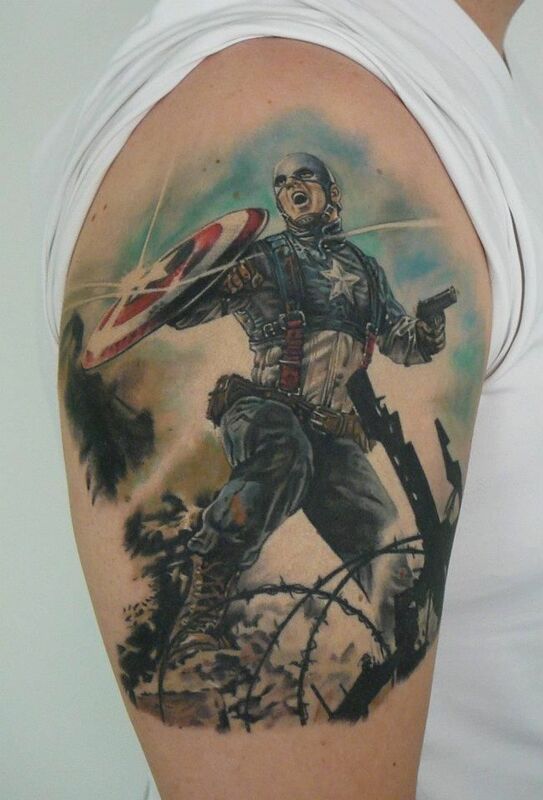 Captain America is a popular superhero. For the native Americans, it is the symbol of patriotism and passion for the country. For people all over the world, he is the representative of immense power and strength. The passion for Marvel, the superhero, compels the superhero passionates to carry him with them all through the day. The kids love to have the toys similar to Captain America. 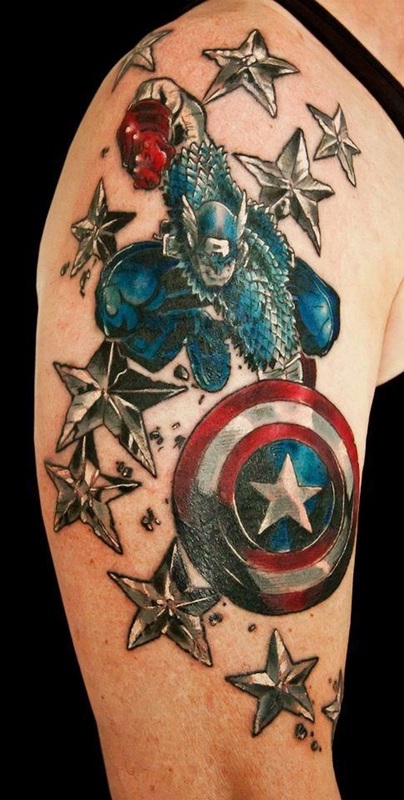 On the other hand, the grown-ups love to get their bodies tattooed with their favorite character. 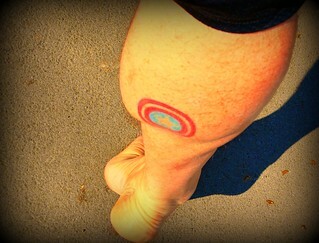 The passion that starts with the toys grows up with the age and is then replaced with the passion of the tattoos. There are multiple variations of the tattoos. 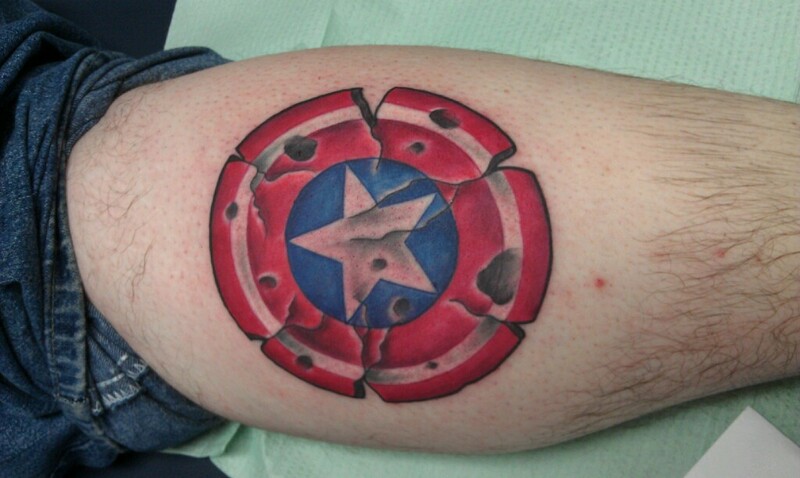 Mostly the people prefer to get the Captain America tattoo that comes with a shield in his hand. 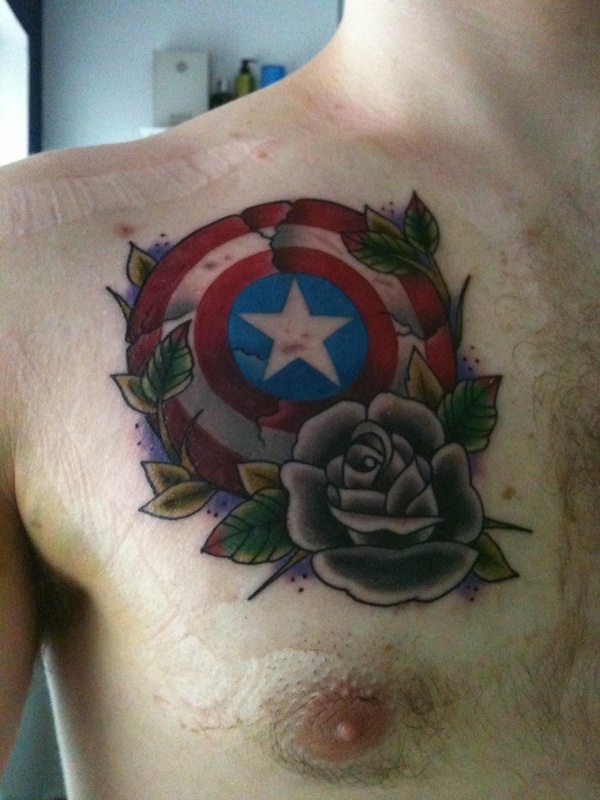 Getting merely the shield of the Captain is also satisfying for several Captain America lovers. 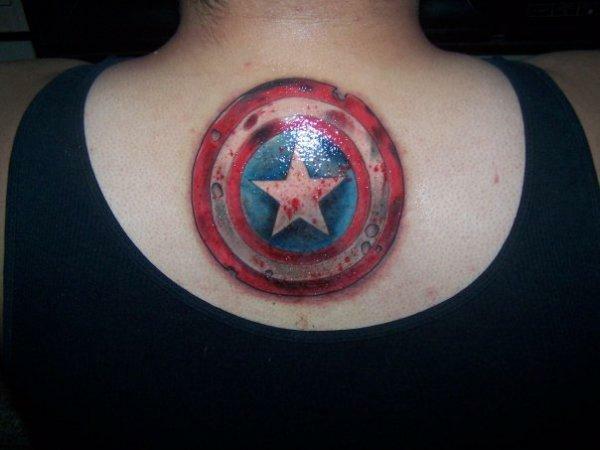 The shield is assumed to be the part and parcel of the character of the Captain America. It is difficult to imagine the Captain without the shield. 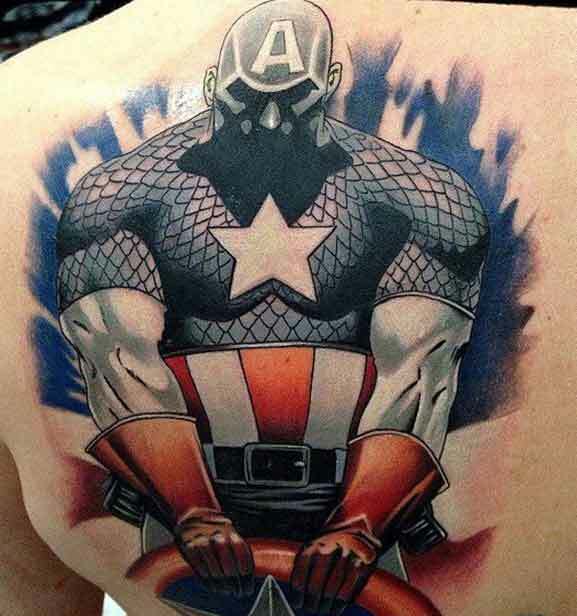 The Captain America tattoos are created in multiple ways. 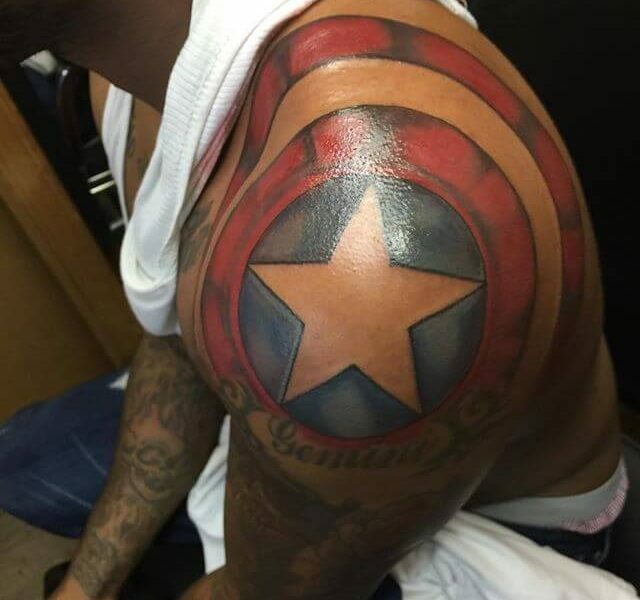 Mostly the tattoo include the head, the shield, the star that are associated with the Captain America. 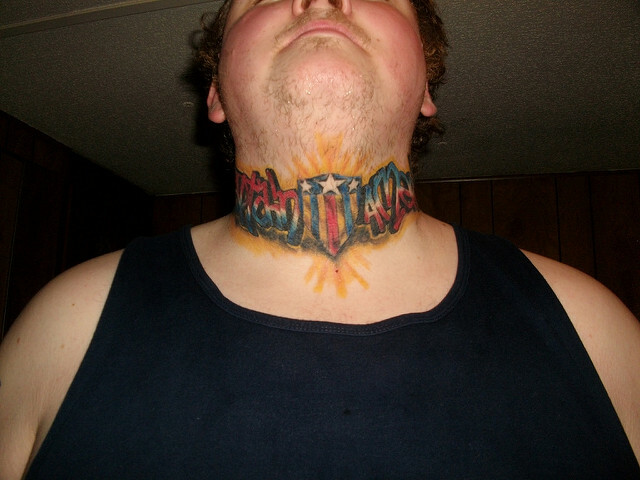 The size and shape of the tattoo also vary with the part of the body you want the tattoo for. The choice of tattoos depends on the age, gender and personal liking. The women prefer more intricate Marvel based designs usually on their wrists and on the arms. Animated tattoos are popular among the teenagers. 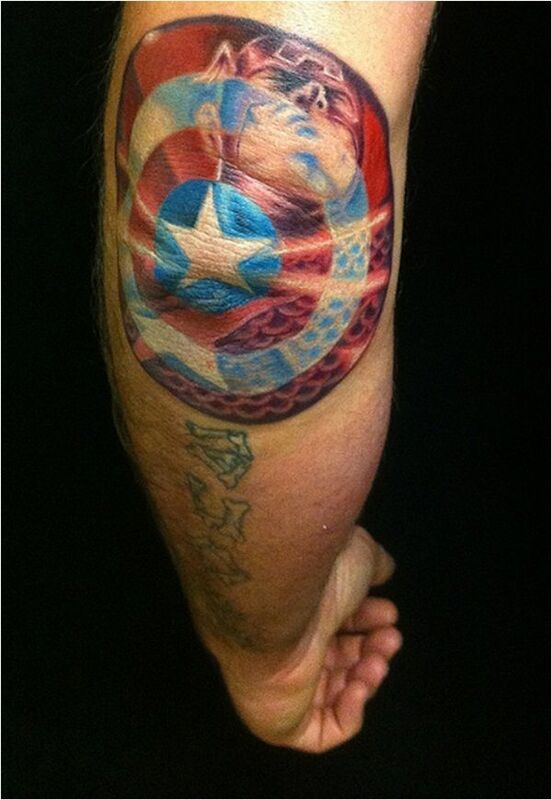 The macho and adventurous men like to have the tattoos that represent the strength of Captain America. In the last case, the tattoos covering the back, legs and the sleeves are appreciated a lot. 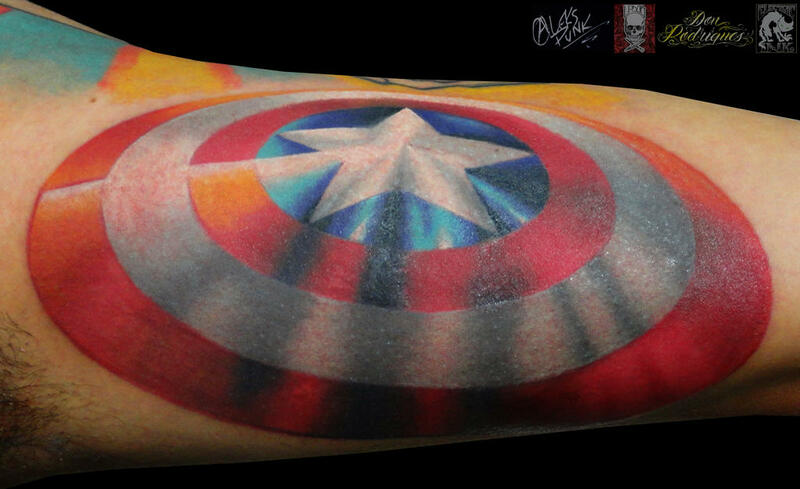 If you are really keen on having the Captain America all over your body then its time you find one for yourself from the following cool super hero tattoo design ideas.